Bollywood actor Ranveer Singh is set to star in an upcoming biopic about legendary cricket player Kapil Dev. ’83’ will follow the journey of the ex-Indian cricket Captain Kapil Dev throughout the 1983, when the Indian cricket team beat West Indies to win their first World Cup. After the success of ‘Simmba’ and the hype around the release of ‘Gully Boy’, Ranveer Singh is in huge demand! Fans went into a frenzy after finding out that he has been roped in to play Kapil Dev in the upcoming flick. 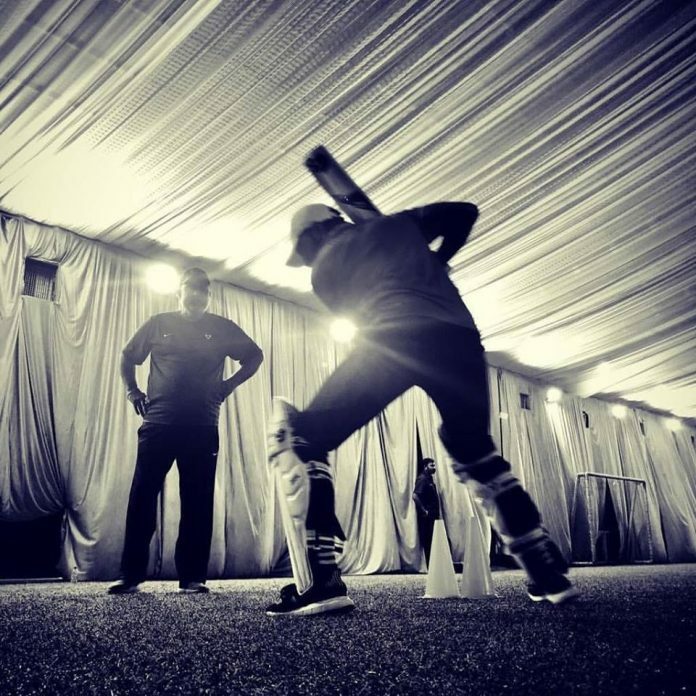 He shared a picture of himself with cricket coach Balwinder Singh Sandhu, where he can be seen training for the upcoming biopic. Punjabi singer and actor Ammy Virk will also be joining the flick, and will be playing the role of cricketer Balwinder Singh Sandhu, who was part of the 1983 cricket team. He was also the only turbaned Sikh who was on the Indian team at the time. There are also rumours that Punjabi singer Harrdy Sandhu could be making his acing debut in Bollywood. As fans of Harrdy know, he is a huge cricket fan and used to play Cricket before getting into a nasty injury. There isn’t news on who he might play, but we could be seeing him on the big screen! The movie is being directed by Kavir Khan, and no official release date has been set yet.